The news in South Africa, and in many other countries, is currently filled with stories of power battles, conflict and corruption — when we should rather be debating the triple challenge of alleviating poverty, reducing inequality and creating jobs. The future of South Africa, and much of the developing world, depends on the extent to which political and economic leaders are able to find ways of solving these three critical challenges. At the heart of any solution is finding ways to encourage economic growth. The growth rate of South Africa’s gross domestic product (GDP) has, over recent years, hovered stubbornly around one percent. This is far lower than the five to six percent we should be achieving. How can we do better? Economists point to the importance of productivity and competitiveness. In terms of these measures, the South African economy does not have a good record, ranking 52nd out of 63 countries in the World Competitiveness Yearbook for 2017. Innovation is the ‘secret sauce’ or ‘silver bullet’ to improve competitiveness, productivity and growth. Higher levels of innovation will lead to more jobs, less poverty and reduced inequality. To drive innovation the national Department of Science and Technology (DST) supports a “national system of innovation”. This system consists of publicly-funded universities, research councils and a range of other institutions and facilities. The South African government spent 0.77% of GDP on research and development in 2014/15, and has a stated aim of doubling this to 1,5% in the near future. The very important question, however, is “How do we achieve technology transfer?”. In other words, how does the innovative and valuable world-class intellectual property (IP) produced in our universities, and other institutions, get turned into products and services that benefit South Africa? Taxpayers, after all, have the right to expect a significant return on the investment made by the government in our national system of innovation. Experience around the world has shown that technology transfer is a difficult and high-risk undertaking. The most commonly used strategy is for universities to set up a technology transfer office (TTO) and use this as a central service to protect IP via patents. The TTO then works to negotiable deals with anyone wishing to licence the use of this IP. In the US for example of the 155 research-active universities with TTOs, only 16 generated sufficient income from licencing the university’s IP to even cover the cost of running the TTO. In response to this, the American National Science Foundation has implemented a novel strategy to improve the effectiveness of technology transfer at universities by setting up units called “Innovation-Corps”, or I-Corps Nodes. These are designed to support and encourage university-based scientists and engineers to set up their own startups. The Lean Launchpad methodology and the business-model canvas are used. Since 2012, over 4,500 startups have been launched at US universities, many of which have received support via the I-Corps Nodes. Wits University’s Tshimologong Digital Innovation Precinct has set up a programme, working closely with the Wits technology transfer office, that operates in a similar way to the I-Corp Nodes. Wits researchers will be trained in the use of the Lean Startup method and will be supported in setting up startup companies that will take research IP to market. An incubation and acceleration programme will be run within the Tshimologong Precinct to support these startups. A Wits University innovation fund is also being established to provide seed funding for some of the startups. Although a great deal of work remains to be done in operationalising this model at Wits, early indications are that the strategy has a good chance of reproducing some of the success achieved by the I-Corps Nodes in the US. This would in turn demonstrate a way in which tangible benefits can be derived from research thus improving the economic impact of innovative research. 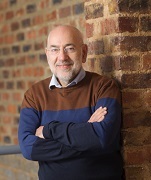 Professor Barry Dwolatzky is director of Joburg Centre for Software Engineering (JCSE) and founder of Tshimologong Innovation Hub. Professor Barry Dwolatzky is director of Joburg Centre for Software Engineering (JCSE) and the founder of Tshimologong Innovation Hub.